Ask any child who visits Give Kids The World their favorite feature of the Village and they will undoubtedly say, "The Ice Cream Palace!" At the Palace, Wish kids and their families are treated to ice cream any time of day - even for breakfast! In fact, families are encouraged to have ice cream for breakfast at least once during their week-long visit. On March 7th of this year, to celebrate Give Kids The World founder Henri Landwirth's 90th birthday, plans were unveiled for a galactic make over for the Ice Cream Palace. 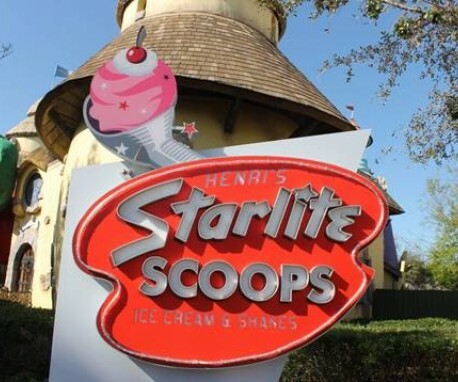 It will be called "Henri's Starlite Scoops" as a nod to one of the first hotels Henri managed, The Starlite Motel in Cocoa Beach, FL. To ensure that families are able to participate in “Ice Cream for Breakfast” at the Village, Chesapeake Hospitality holds "Scoops of Hope" fundraisers. 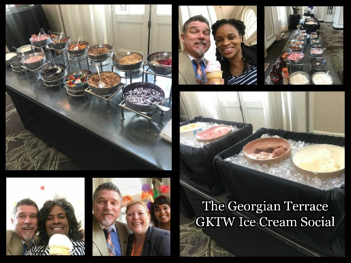 In June, The Georgian Terrace held their ice cream social spreading awareness, joy and hope while raising funds for Give Kids The World. This month, The Crowne Plaza Tampa Westshore will also hold an ice cream social for Give Kids The World. If you’re in the Tampa area on July 26th, be sure to stop by our beautiful Crowne Plaza to enjoy ice cream and participate in a worthwhile cause. Fundraising never tasted so good!